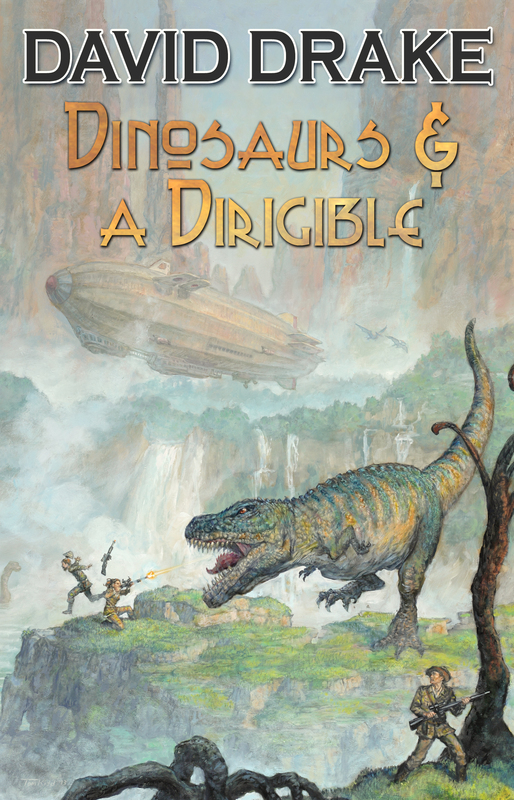 All five of David Drake's time travel stories collected for the first time in one volume, including dinosaur tale "Time Safari." Henry Vickers's job is to keep clients safe from the dinosaurs they're hunting. That's the easy part. The hard part is to keep the clients safe from themselves and each other. Men with enough money to go into the past to hunt the largest land animals of all time are powerful and self-willed. Some make an effort to act like decent human beings, but more are selfish, stupid, sadistic--or all three together. The few women are likely to be worse. Vickers doesn't expect rich people to understand the dangers of where they are and what they're doing; he doesn't expect them to be competent with the powerful rifles they carry; and he particularly doesn't expect them to be reasonable. He treats his clients' behavior as he does the rain and the baking heat--the cost of having a life he loves and which he couldn't afford in any other way. But no matter how detached Vickers tries to be, eventually there are moral questions that he can't ignore. And when Henry Vickers starts to behave like a human being instead of a hunting guide, things get really dangerous. And in a complete change of pace: "Travellers." An airship is crossing the United States in 1897 in search of the weird and the wonderful. The two teenagers aboard know that the airship's captain is a great scientist and inventor--but they don't know how much more he is also. All five of David Drake's time travel stories collected for the first time.